The Township proposed to take a portion of a sealed surface road back to aggregate surface and use a specialized aggregate blend called DSA. In addition to the change in surface type, 3 new culverts were added and 4 culverts were up graded. Predominantly, the additional culverts were added to assist in parceling the storm water drainage into more manageable discharges in a critical area adjacent to a small (under 100 acre watershed) intermittent stream channel. In addition to the culverts, the road side ditches on the site were unstable and eroding pieces of the sealed surface material. 900 feet of under drain was added to the road ditches and new turn outs were created to supplement the drainage improvements. The District and Township had the opportunity to work with two off right way land owners to make improvements. A new properly sized pipe was installed in the intermittent channel and stabilized pasture access was added on a property impacted by storm water run-off that was contributing nutrients to a nearby receiving stream. Installation of a new culvert on Poverty Point Road. 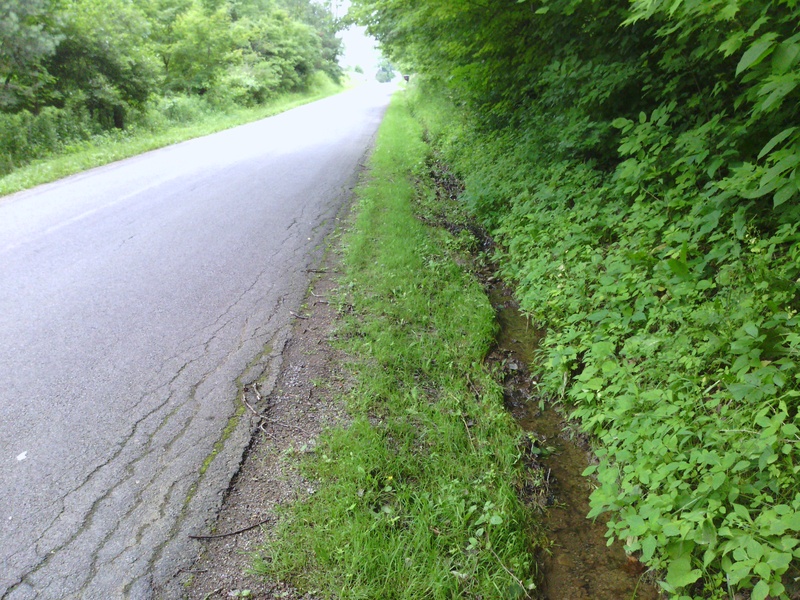 Saturated road side ditch prior to completion of under drain on Hartzell Road. The goal of this project was to alleviate saturated wet site road ditches and attempt to break up the road drainage into smaller contributory areas. 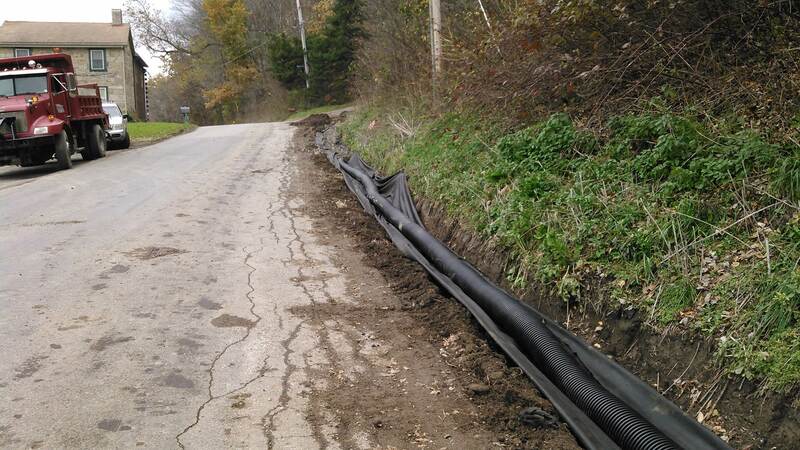 The Township installed 1,150 feet of under drain and 2 cross pipes to try to better distribute the contributory drainage areas to both sides of the road way before it reached the receiving stream. 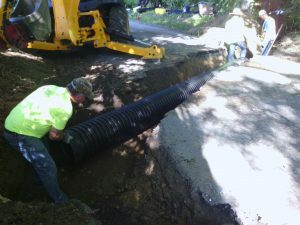 Installation of under drain on Lakewood Neshannock Falls Road.